Welcome to Day #6 of Chocolate and Coffee Theme Week. 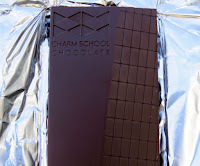 Today's Coconut Milk Mocha bar was from Maryland-based Charm School Chocolate. 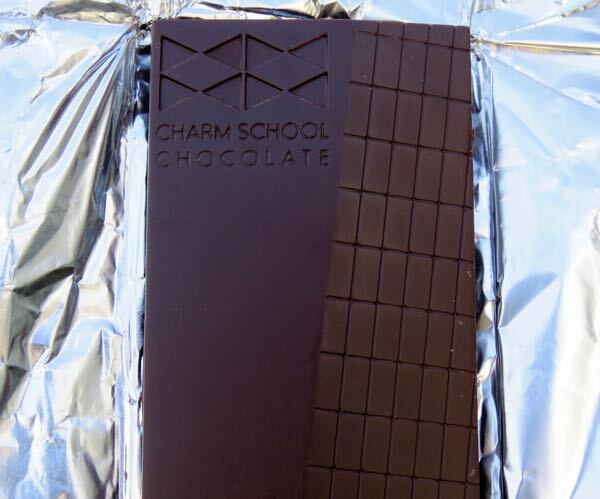 Charm School Chocolate makes a line of bean-to-bar, non-dairy, soy free, vegan chocolate bars. 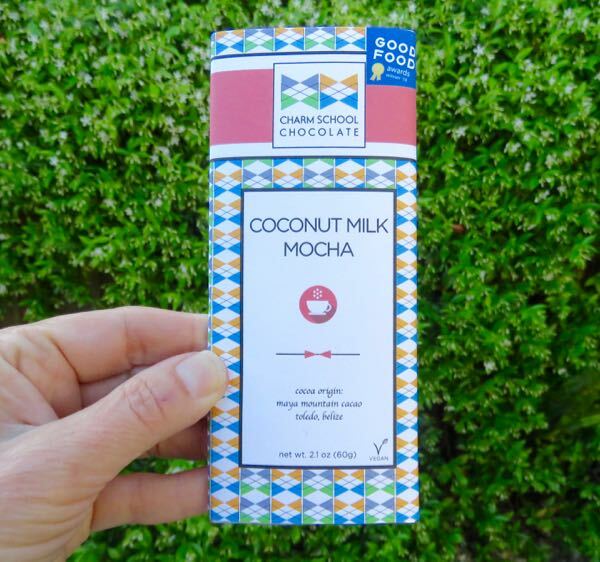 Today's award-winning (2018 Good Food Awards Winner) 47% cacao bar was made with Maya Mountain Cacao grown in Toledo, Belize* and flavored with coffee ("artfully roasted and blended by Quills Coffee, Louisville, KY"). 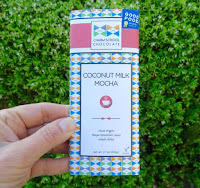 This sweet bar had creamy texture and sweet coffee coconut caramel latte flavor. *The Toledo District of Belize is an area rich in cacao farming and cacao history, with Maya people still farming in the same area and style as they have been for centuries. Maya Mountain Cacao (a pioneer in direct trade cacao sourcing) buys beans directly from local farmers and sells quality cacao beans to chocolate makers.